Courtesy of a new survey. We already know what newlyweds’ biggest wedding regret is (hint: Hire a videographer if you know what’s good for you), but what about the things that come after the big day? What you put on your registry follows you well after your wedding and can last a lifetime. And while registries are an incredibly helpful way for couples to start building out an arsenal of home goods— particularly if they’re juggling wedding and new home expenses—it’s important to be judicious with what goes into them. So if you’re getting married soon, you’ll want to pay attention to a newly released survey that highlights the top registry regret. The survey, conducted by online wedding registry site Zola, polled over 1,000 newlyweds. And it looks like there was a clear winner for the number one regret: Over three-quarters of those surveyed said they regretted not registering for cookware. 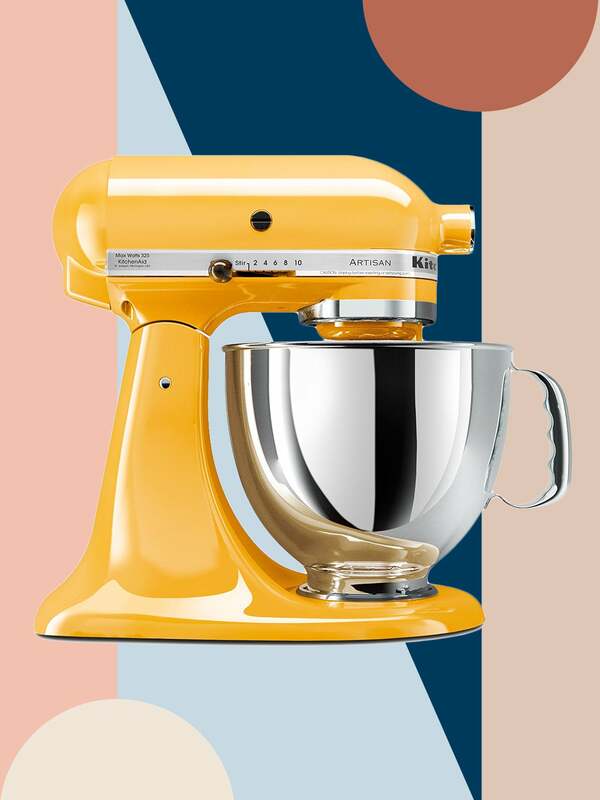 This may seem somewhat surprising, given that the most popular wedding gift is the KitchenAid Stand Mixer, but it’s good to keep in mind nonetheless. Looking to build out your own registry with some chic pieces you’ll actually use? Here is the best cookware to add to your wish list, according to what kind of cook you are. Think: Basics that’ll help build out your culinary repertoire and comprehensive sets that cater to all your needs. ICYMI: Chrissy Teigen’s Target line is as fabulous as you’d expect—and it’s actually affordable. Meaning that picking up an entire collection of stainless steel cookware won’t cost an arm and a leg and you don’t have to feel guilty adding it to your registry. A classic cookbook whose soon-to-be earmarked pages will last you a lifetime, The Joy Of Cooking just got a chic makeover in the form of leather binding in a range of trendy colors. From matte black to Millennial Pink, you’ll find something that perfectly suits your design aesthetic and that you’ll actually want to display. You’ve probably seen Great Jones’s The Dutchess cast-iron Dutch oven everywhere in recent months, and it really is worth the hype. Keep one on hand—the bright blue one is particularly striking—for easy make-ahead weeknight dinners. Sure, you can whisk and mix by hand, but having a stand mixer totally changes the game. It’s no surprise it’s the most-requested product on Zola. Pick one in a unique shade, like this buttery yellow, for a burst of color your kitchen will appreciate. When you’ve got the cookware essentials down, it’s all about finding extra gadgets that can take your collection to the next level; like, for example, a cast-iron frying pan. Everything, from sauteing vegetables to frying an egg, is about to get better. Oven-to-table goodies and servingware that’ll help elevate any weeknight delivery meal. No one will ever know the meal came from that takeout place down the street. Customize a complete set (down to the flatware) on Year & Day according to your lifestyle and color preferences. The “midnight and fog” combo—matte black and dove grey—is a timeless one you’ll love for years to come. Choose a small casserole dish to have for serving and the rare occasions you do decide to crack open the oven. This gorgeous terra-cotta piece is handmade in Italy and is perfect for bringing anything straight from the oven to your dining table. Upgrade your takeaway by serving it on a well-dressed table. Once Milano makes a range of table linens in an assortment of subdued tones. We’re partial to the rosy hue for a rustic look. If the closest thing you’ll get to cooking is assembling a cheese board (we hear you), you’ll need something stylish on which to serve your charcuterie. Opt for a marble piece that makes anything you put on it look that much fancier.